Even today, many orthodox Jewish men observe this commandment by wearing tassels (tzitzit, pronounced ZEET-zeet) affixed to a garment under their shirts. Not only is this odd commandment taken seriously by Jews, the text of the command is repeated as part of their daily prayers. In ancient times, women’s outer garments may have had them as well. Others don’t wear them all the time, but wear a prayer shawl (tallit) to which tzitzit are attached during worship. Among those that do wear them, they must hang visibly and not be tucked in, because the Scripture says that you have them “to look at.” The tassels are to be obvious both to to the wearer and those around him. Although the practice may appear to Christians to be a strange form of legalism, when we dig deeper we see its great importance and find a lesson for us too. 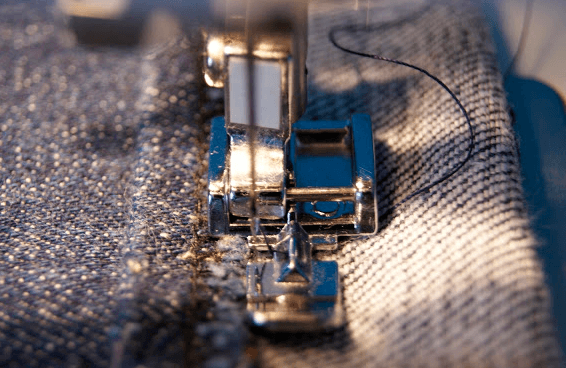 In order to make sense of this regulation, we need to see the cultural picture behind putting tzitzit on the corners of the garment. In ancient times, garments were woven and decorated to show the person’s identity and status in society. The hem and tassels of the outer robe were particularly important, with the hem being symbolic of the owner’s identity and authority. In legal contracts written in clay, instead of a signature, the corner of the hem would be pressed into the clay to leave an impression. Understanding the significance of the hem sheds light on the story of when David sliced off the corner of King Saul’s robe. (1 Sam 24:4, see also 1 Sam 15:27) As soon as he did so he was horrified at himself, realizing that by cutting Saul’s regal hem, he had assaulted his authority to reign. It was as if David had reached up and knocked the crown off Saul’s head. The tzitzit communicated that idea using several cultural pictures. First of all, tassels were a sign of nobility — in ancient times kings and princes decorated their hems with tassels. Merely by wearing tassels, the Israelites were wearing a “royal robe,” marked as God’s chosen people. In ancient times this would have been quite a statement to the nations around them who saw the regal nature of their clothing. The tassel included a blue thread as a reminder of the blue robes of the priests that were dyed with the same expensive dye (tekhelet) only made from one rare type of snail. It was as if each Israelite wore a little piece of the high priest’s blue robe at all times to remind them that like the priests, they were set apart for serving God. The blue dye eventually became so expensive that it was no longer required. Traditionally, the tassels are wound and knotted in a specific pattern to remind the wearer of God’s commandments. This practice did not begin until after first century, but it was certainly understood in Jesus’ time that the tassels were there to remind a person to be continually obedient to God. God was giving his people a uniform to wear to show their special status as a nation of priests. God was also forcing them to be obvious about their commitment to him, because everyone around them could see their tassels too. God chose to make this one people his representatives on earth — a kingdom of priests to the rest of the world. He wanted them to be continually reminded that he had put them on display as a light to the nations, witnesses to him to serve others. In a world where other nations prostituted themselves to idols and sacrificed their children to demons, they were to show how the true God wanted them to live. They could not blend in to the world around them, and whatever they did, good or evil, was a witness to the God they served. If they were true to their calling by being obedient to God, they would be a holy nation that the whole world would recognize. Jesus, like other Jews of the day, wore the uniform of the tzitzit. 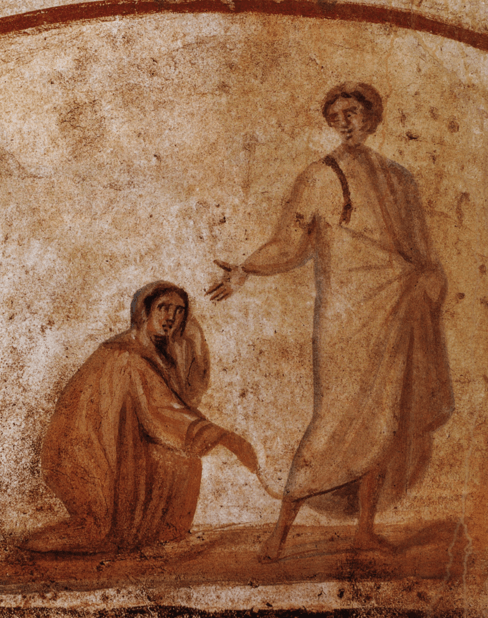 The gospels report that more than once people grasped them to be healed (Mt. 14:6, Lk 8:44). This may have come from the idea that the messiah would come with “healing in his wings” (Mal. 4:2), with “wings” (kanafim) also meaning “corners”, where the tzitzit were placed. When Jesus criticized the religious leaders for making their tassels large (Mt 23:5), he wasn’t protesting against their wearing them. Because social status was shown through the hem and tassels, by enlarging them they were claiming honor and prestige from their piety. While they were supposed to be clear in their commitment by wearing their tassels, they weren’t supposed to use them to their own social gain. What importance does this have to us as Christians today? The Israelites were specifically told to wear this uniform. There is no expectation that Gentiles were supposed to do this — if anything, just the opposite. The idea behind the command was specifically to distinguish Israel from other people. If everyone started wearing tassels, it would undermine the goal of setting apart Israel as God’s special priesthood. Peter is adapting God’s promise from his covenant with the Jews and applying to it to all who have come into God’s new covenant. We too are part of his holy nation and royal priesthood. By accepting this covenant, we also become God’s representatives, witnesses to the world by our actions. Like the priests of Israel, we need to be mindful of being obedient so that we reflect God’s holiness, while serving others and bringing them closer to God. What if believers were required to wear an identifying badge analogous to the tzitzit? We modern Christians have an extremely private faith. We live lives like everyone around us, being glad that we don’t need to “do anything to get to heaven.” So we are just like our neighbors, not being a judge, but also not being a light or a witness. We’re hidden lamps, covered under our own bushel baskets. We focus on the minimum needed for salvation, but don’t realize that God’s goal goes far beyond that. 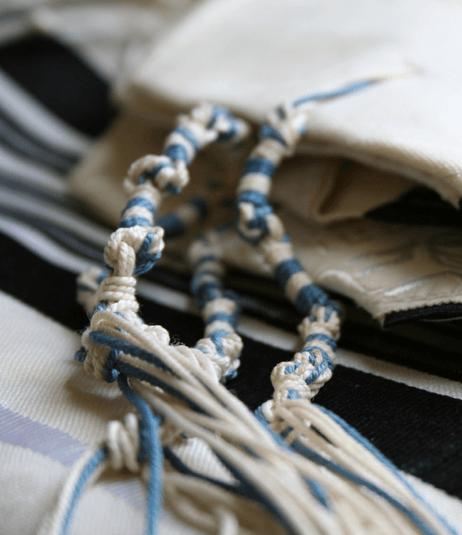 The lesson of the tzitzit is that God’s goal for us as a kingdom of priests is to be obvious about living our faith, enough so that others see our “tassels.” This can easily bring on accusations of being judgmental and hypocritical, so we need to rise to the challenge to go even more out of our way to be humble and kind as we live in front of others. We need to wear a little piece of the robe of our high priest, Jesus Christ. God’s goal for us is not just to “get us into heaven,” but to transform us into his representatives who reflect the love of God, and cause others to love him too. For more about the significance of tassels, see the chapter “Touching the Rabbi’s Fringe” in Sitting at the Feet of Rabbi Jesus, p 145-162. For more about the evidence that Jesus wore tassels, see “Of Hems, Tassels and Tefillin” (p. 49-54) in New Light on the Difficult Words of Jesus, by David Bivin. I wish our role was better defined because sometimes I think Christians feel as if they’ve been invited to a painting party but instead of being given a brush and a bucket of paint, they’re told to go stand against the wall and do nothing. I believe Christians would live a more “called out” life, if they only knew what their role was. Thanks for a great post Lois! Thanks, Ruth. Often Christians have a knee-jerk reaction to learning about Jewish practices, thinking that they need to embrace forms and traditions without discernment. Often there is a wiser lesson to learn, once you know their significance.